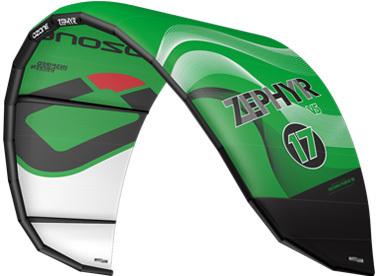 The Ozone Zephyr 2013 is a strange kite. Light wind orientated but in the light wind test (6 other brands) it didn't have a good low-end. The 13m Ozone Edge had a better one than the 17m Zephyr! But when you had power, you go upwind like no other! The bar pressure was pretty light with less kite feedback on the edge of the wind window. So we had a 17m light wind kite with a not so good low-end and a great high end. From 13 knots this Zephyr is in its element, something take into account!